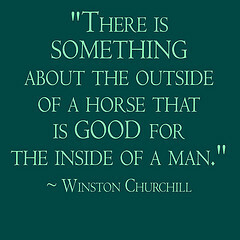 Let’s get some winter cheer into this first week of December! 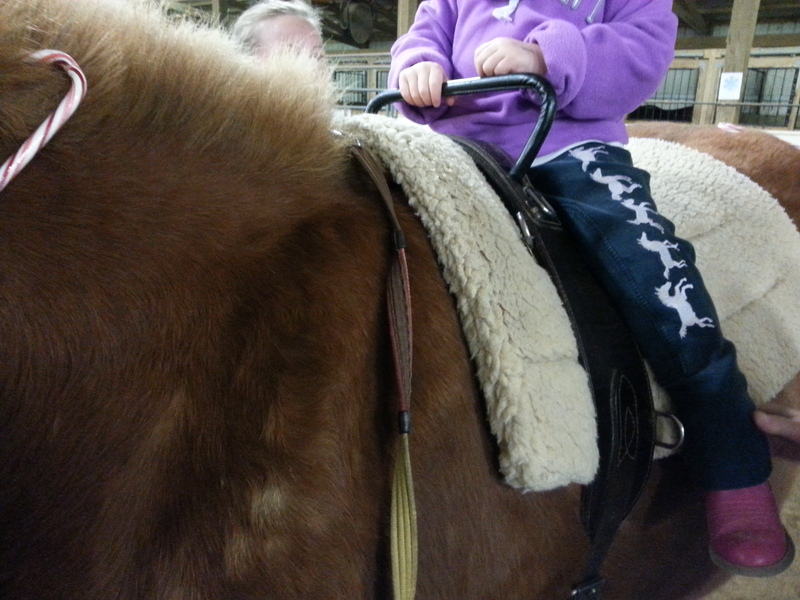 Rider whoas at the barrel and picks a candy cane from the bag. 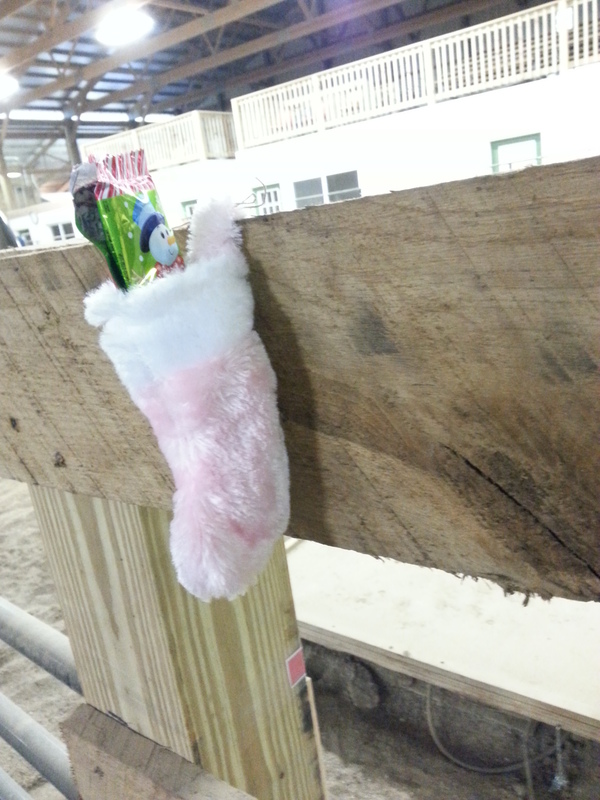 Rider takes the candycane to a stocking and puts it in. 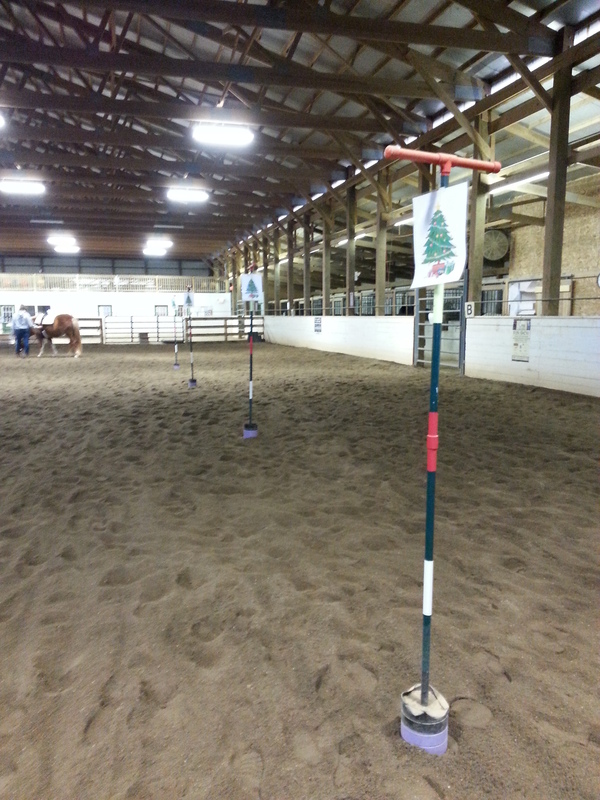 If more than 1 rider at a time, make duplicate candy cane sets using different colors and have each rider stick to one color. 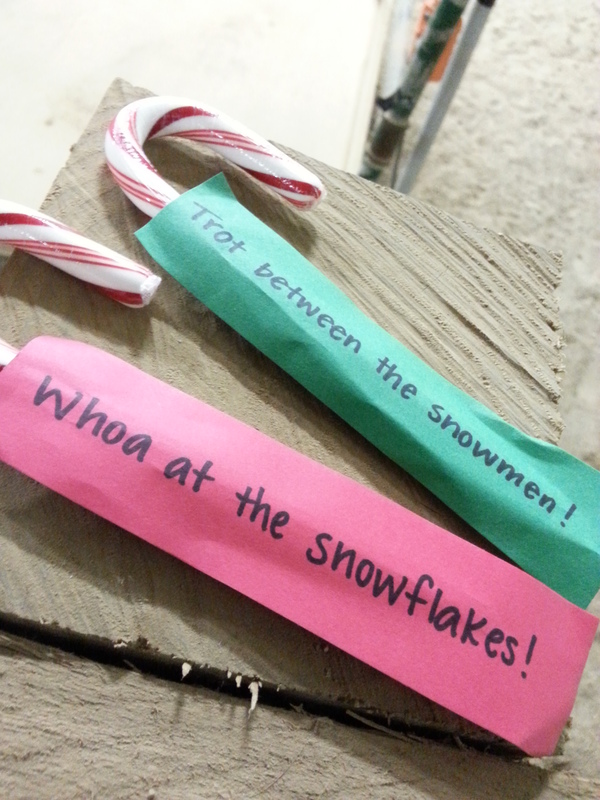 Instead of candy cane skills, use different horse treats and deliver them to stockings with their horses’ names on them. 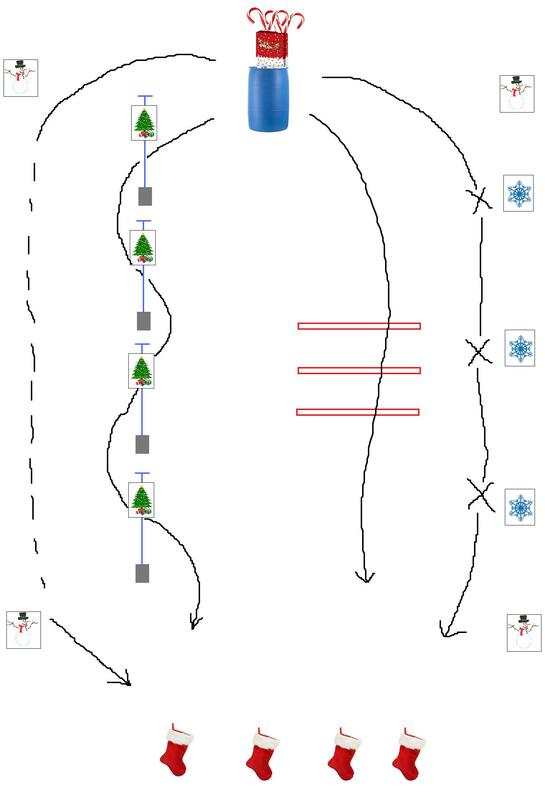 You can even incorporate a story about delivering the candy canes through a blizzard (lean over to huddle with their horse at each snowflake), over the river (two point over poles), find your way through the forest (weave the tree poles), and don’t let the snowmen steal the candy cane (trot away!). 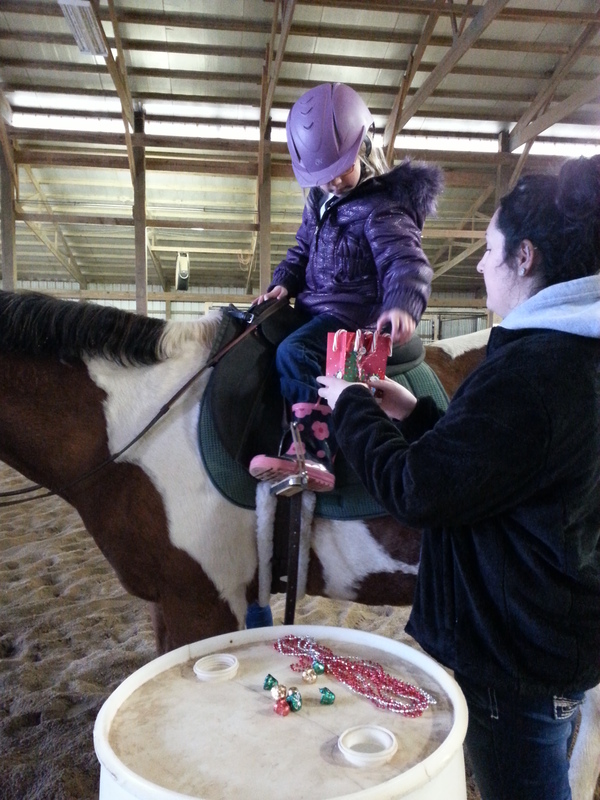 After the lesson feed the horses candy canes from a bucket! social skills – asking for help reaching the bag, candy canes, stockings, etc. P.S. 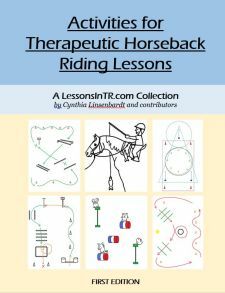 Congratulations to the blog, it has reached 150 followers! Hooray! This game was featured in PATH Intl’s STRIDES Winter 2015 Magazine! Double Hooray!